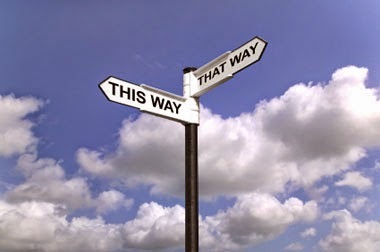 Hi everyone, I am hearing that many people have arrived at a crossroads, including myself!! So this week I am using Sonia Choquette’s Soul Lessons and Soul Purpose deck and the messages from this deck are so strong that I feel I only need to choose two, but we will see as we go along. So we receive – ACCEPT WHAT IS and FORGIVE AND FORGET. So straight away what comes to me is leaving the past behind once and for all. The accepting things and situations as they are now, not going back over the past again and again. This is a perfect week to finish working on this, with the Full Moon energy. Sometimes accepting what is, just changes the energy and then a new perspective or clarity just comes out of nowhere. I would also say, connect more deeply with Spirit, quiet your mind and wait. Only do what you can on any particular day and it is a time of synchronicities and out of the blue meetings, so just take your time and just BE. Now looking at the book an added message is about receiving support from others too. Letting down your walls and receiving help, advice, and support. Focus on what you want to create in all circumstances. I advised a few people today to write a list of what they want when walking forward from this crossroads and also what they know that they don’t want. It gets it straight in your mind and heart and puts it out there to the Universe too. Now I think I will for a third card, hopefully to show us where we are going or the next step after the quiet time. BE OPEN TO LOVE – good one!! Well most of the message is not to be afraid to enter love relationships and that you know your own heart and also at the same time, not to give more to others than you are comfortable with. So putting the whole message together to me it is finally wiping out the past, being in the here and now, ready to step forward and you may not be alone going down the next road. I suppose since this is a general reading, it can be anyone from new friends, business partners, romantic partners and your own love for yourself. I seem to recall Doreen Virtue’s reading saying something about new romantic partners arriving too. Check it out. Interesting! So love and Light to you all. Please if there are any spectacular developments, long awaited miracles, please let me know.